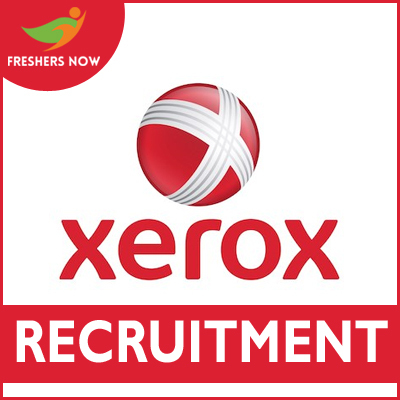 Xerox Recruitment 2019 is a very good opportunity for the candidates interested to work in the IT Sector/ IT Jobs In India. The B.E/ B.Tech Graduates should keep this in mind that the candidates should work Across India after the Interview Process. Furthermore, the details description of Xerox Eligibility Criteria for the Xerox Associate Engineer are given in this post along with the link to apply for the Xerox Graduate Jobs. Also, by referring to this post, every candidate can easily understand the Online Registration process. Moreover, the Direct link to for the Online Registration is given at the bottom of the page for the sake of the Participants. Candidate should have Minimum Prior experience working on successful projects using C++, C, and Jave or C#. Any Graduates from a specialized field like Software Engineering, Computer Science or Computer Engineering. Candidate with Excellent listening skills is eligible for the Xerox Associate Engineer. Must show a systematic, analytical approach to problem-solving. development processes and system lifecycles. Should be Responsible for those functions, activities, and skills required for analysis, design, coding, integration, test & maintenance of software modules, subsystems or systems. Candidates should have leadership qualities and capability to lead the Fellow members in his team. Should control electrical, mechanical, electronic or network systems. Should be loyal to companies norms and conditions. Xerox Corporation is an American global corporation that sells print and digital document products and services in more than 160 countries. Xerox is headquartered in Norwalk, Connecticut, though its largest population of employees is based around Rochester, New York, the area in which the company was founded. The company purchased Affiliated Computer Services for $6.4 billion in early 2010. On December 31, 2016, Xerox separated its business process service operations into a new publicly traded company, Conduent. Xerox focuses on its document technology and document outsourcing business and continues to trade on the NYSE. On January 31, 2018, Xerox announced that it would sell a controlling stake to Fujifilm, which has maintained a joint venture in the Asia-Pacific region known as Fuji Xerox. Candidates can directly go to the Link given below in this section. Then, you will ask to fill the credentials or if you were new users, you should signup first. Accordingly, fill all the details like Name, qualification, Job role, address etc. Finally, the interested candidates can utilize this good opportunity and secure the Xerox Associate Engineer Jobs. Also, to know more details like these, please keep in contact with us or else bookmark our website Freshers Now to get update notifications to you without any searching. Thank you.